WASHINGTON, Jul 30 2014 (IPS) - Pro-Israel activists assembled a huge crowd and a long list of congressional leaders and diplomats to declare their unconditional support for Israel’s military operations in the Gaza Strip on Monday, largely downplaying tensions between Jerusalem and Washington. Key congressional figures from both the Republican and Democratic Parties echoed similar views: that Israel was exercising its inherent right of self-defence, that the entire blame for the hostilities lies with Hamas, and reminding the audience, in a thinly veiled message to U.S. President Barack Obama, that Hamas is backed by Iran. Many of the speakers brought up Iranian sponsorship of Hamas, despite the fact that the relationship between them splintered after Hamas declared its support for the rebels in Syria. Obama was represented at the event here, dubbed the National Leadership Assembly for Israel, by his national security adviser, Susan Rice. Her address was interrupted by a protester, Tighe Berry, who shouted “End the siege on Gaza,” and held up a sign with the same words. Berry was joined by a handful of protesters outside the building from the pro-peace activist group, Code Pink. After the protester was removed by force, Rice delivered the White House view that a ceasefire was of the utmost urgency in Gaza and Israel. That statement was distinct from the Israeli stance and that of almost all of the speakers at this event. Although Israel accepted an Egyptian-brokered ceasefire several weeks ago along similar lines, it is now insisting on first eliminating any tunnels in Gaza which lead into Israel and taking steps to disarm Hamas before halting its operations. Robert Sugarman, the chair of the Conference of Presidents of Major Jewish Organizations, which spearheaded this gathering, set the tone with his opening remarks to the overflow crowd. While most of the speakers did not state any direct opposition to the Obama administration’s policy, virtually all of them stressed the view that Hamas must be disarmed and that the Netanyahu government must have unqualified U.S. support. John Boehner, the Speaker of the House of Representatives and one of President Obama’s leading political opponents, came closest to squarely criticising the president, by tying the crisis in Gaza to Iran. Many of the speakers brought up Iranian sponsorship of Hamas, despite the fact that the relationship between them splintered after Hamas declared its support for the rebels in Syria, fighting against Iran’s key ally in the region, Bashar al-Assad. Nonetheless, for many of the speakers, the connection provided a bridge to connect the fighting in Gaza to Congress’ scepticism about diplomacy with Iran over the issue of Iran’s nuclear programme. But ongoing tensions between the Obama administration and the government of Israel inevitably made their way into the room. Israeli Ambassador to the United Nations Ron Dermer tried to balance a conciliatory tone with Israel’s determination to continue its operations in Gaza despite calls from the United States and most of the international community for an immediate and unconditional ceasefire. “Israel has uncovered dozens of tunnels whose sole purpose is to facilitate attacks on Israeli civilians. Israel will continue to destroy these tunnels and I’m sure the Obama administration understands this,” Dermer said. But Dermer also delivered a message of moderate conciliation in the wake of very harsh criticism in Israel of U.S. Secretary of State John Kerry after the alleged text of a ceasefire proposal from Kerry was leaked to the Israeli media. 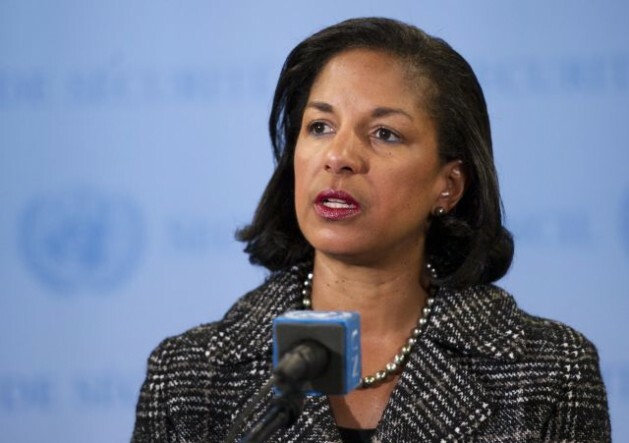 Rice also addressed the criticism of Kerry. “We’ve been dismayed by some press reports in Israel mischaracterising [Secretary Kerry’s] efforts. We know these misleading reports have raised concerns here at home as well. Rice’s defence of Kerry did not seem to ruffle many feathers in the audience. But the next day, a new controversy arose in Israel when several Israeli radio stations reported on a leaked transcript of a phone call between Prime Minister Benjamin Netanyahu and President Obama. Israel’s Channel 1 reported that Obama “behaved in a rude, condescending and hostile manner” toward Netanyahu in the call. Both the White House and the Israeli Prime Minister’s Office flatly denied the reports. “[It is] shocking and disappointing [that] someone would sink to misrepresenting a private conversation between the President of the United States and the Prime Minister in fabrications to the Israeli press,” said an official statement from the Prime Minister’s Twitter account. Identical language was employed by the United States National Security Council over their own Twitter account. “The…report is totally false,” added White House Deputy National Security Advisor Ben Rhodes.